UC President Janet Napolitano has approved the formation of a $1 million endowment to create the UC Cooperative Extension Presidential Chair for Agricultural Education in Orange County. Half the endowment was donated by the Orange County Farm Bureau; Napolitano matched the contribution through the presidential endowment fund. The Orange County Farm Bureau is housed at the UC South Coast Research and Extension Center in Irvine. The two organizations have worked together closely since their formation more than 100 years ago. The new UC Cooperative Extension Presidential Chair for Agricultural Education in Orange County will allow for more local students to be exposed to careers in agricultural science. President of the Orange County Farm Bureau, Mark Lopez, said the formation of the endowment will help the organization meet its goals. Director of the South Coast REC, Darren Haver, who is also a UC Cooperative Extension water resources advisor, holds the chair. He and his farm bureau colleagues will initially use the funds to expand an agricultural leadership and educational program for Orange County youth. FARMS ( Farming, Agriculture, and Resource Management for Sustainability) Leadership, a program of the Center for Land-Based Learning implemented in Orange County by the Orange County Farm Bureau, in addition to the Orange County Farm Bureau's GROW program, offers field trips and hands-on learning over the course of a school year at locations such as the South Coast REC, acquainting students with wildlife areas, agriculture related businesses and research, colleges and universities where they gain valuable insight into the food and agriculture industry, associated careers and college opportunities. 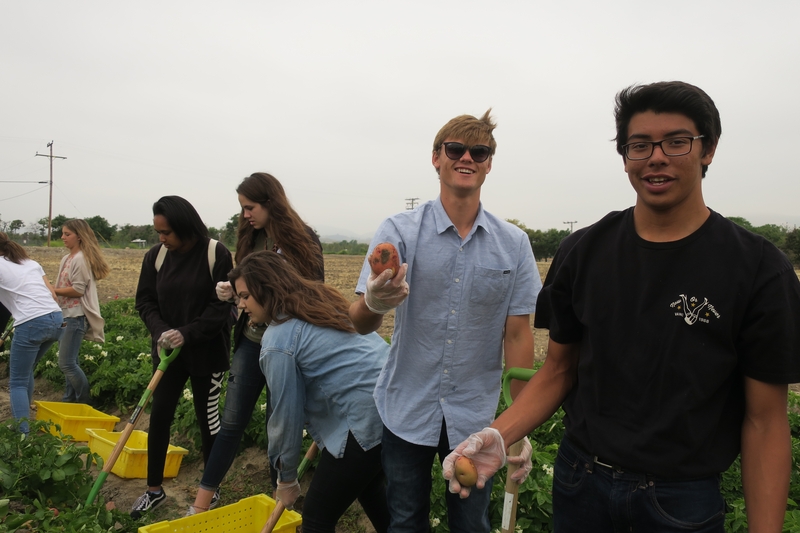 The programs have been open to ag students in Orange County for over five years promoting the importance of agriculture in their daily lives. Humiston said she hopes that partnerships like this one can be formed across the state. “This is a way for us to make sure the resources we need are there and that they're targeted for the needs identified by individuals at their local area,” Humiston said. In announcing the establishment of the presidential endowment funding in 2014, Napolitano said it is imperative for UC to develop new models of philanthropy that recognize and honor the interests of donors while helping UC address its long-term funding needs. “By supporting these endowed chairs, donors will be creating a lasting legacy at the university – one that will benefit many generations to come,” Napolitano said.